The Getting-in Guide is coming soon and will be a collection of videos which explains each step of my processes for generating great leads consistently. Stop selling and you’ll make more sales! I’ll show you how to generate and qualify leads that will convert to sales by themselves. This home learning approach gives you access to the “Getting In” guide, which includes 12 comprehensive videos to give you the steps and processes you need to succeed. Bite sized videos with techniques for telemarketing, including Call structures, Avoiding rejection, Overcoming objections, Staying positive, Motivational tips for the home worker, The importance of profiling, 3 (Free) levels of CRM, Researching prospects. Audio downloads – See and hear good calls done properly, How to use your voice to get what you want, plus much more. 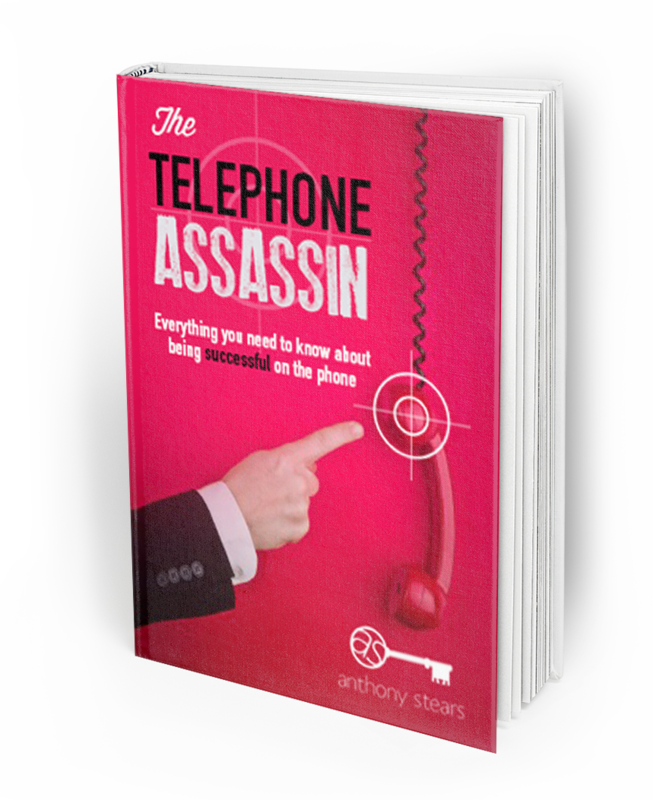 Telephone Assassins in Training – This is for busy people who like to learn alone at their own pace and would like a useful on-line resource, that they can visit and revisit for inspiration, motivation and ideas will help keep them on track, at a time that suits them. next weeks BMG Lauch event in East Berkshire on Wednesday 18th September. Pre-order your copy now.